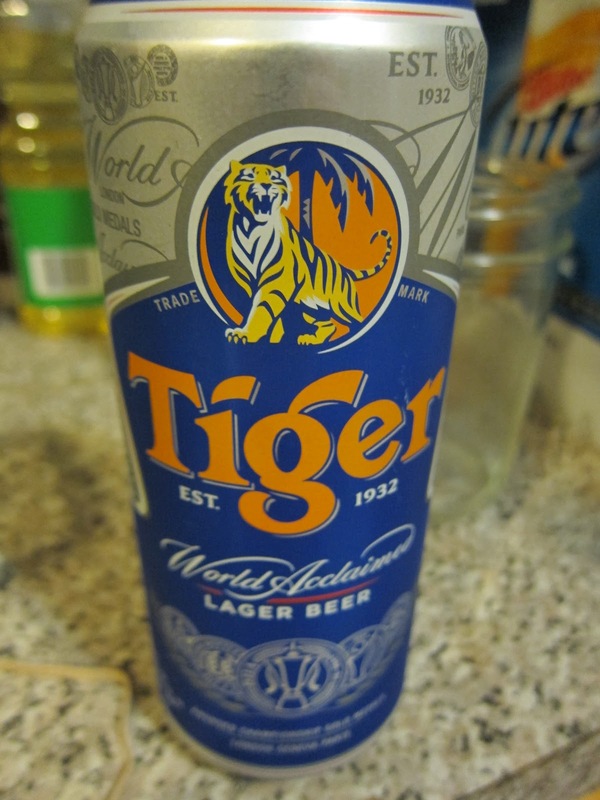 It's been a couple weeks since my Auburn Tigers lost to LSU, so I think I've mourned long enough to recap the Tiger vs Tiger Showdown football party I threw for the occasion. I had such a fun time making the invitation for the game look like a vintage boxing poster. 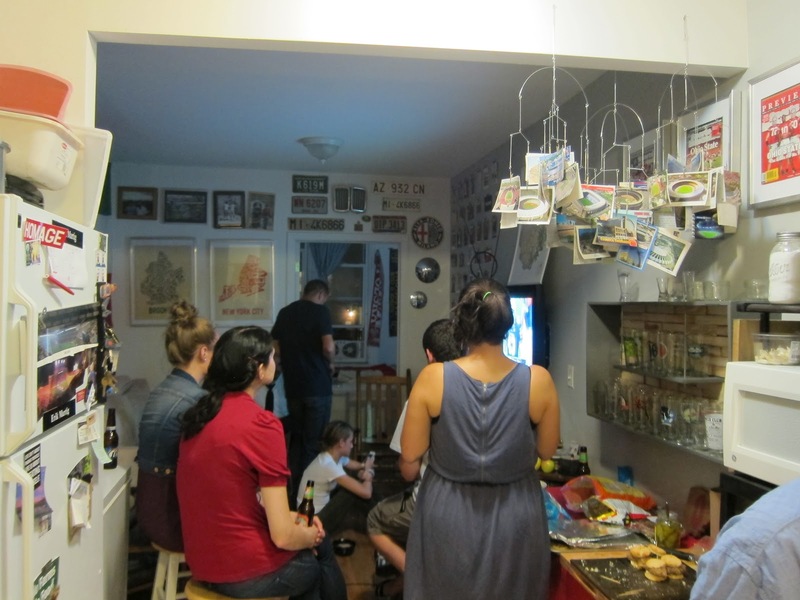 Since I have no television, we held the party at Kurt's apartment as a "neutral zone" even though Kurt and his brother had a concert to attend that evening. Lots of attendees even humored my request to dress up! Thanks guys! I asked everyone to bring a Southern dish. As my contribution, I made mini Chick fil a biscuits. I found this awesome recipe (via this other awesome website) for the fried chicken. The recipe creator intensely analyzed the herb combination and cooking process. The chicken was super convincing and a big hit! I will definitely be making these again. 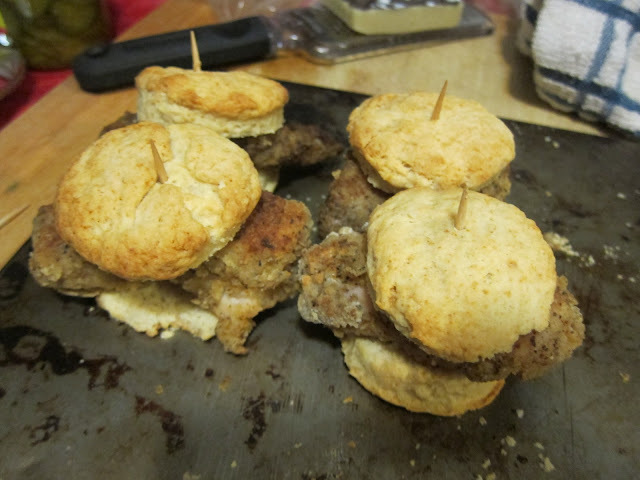 The biscuit recipe was by Paula Deen. It's hard to get more Southern than that. Alabama beers haven't quite made their way into NYC distribution yet, so I stuck with the tiger theme with Tiger beer from Singapore. 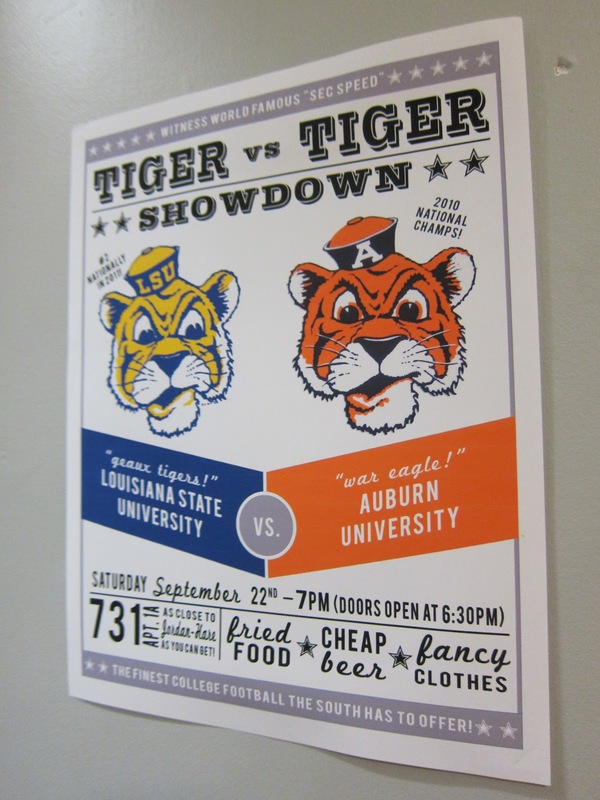 Auburn gave LSU a run for their money but sadly could not come out on top. 2012 is certainly not our year. We did much better than I had expected though! It was a fun party and we had tons of good food (including to-die-for Louisiana gumbo). Thanks for coming everyone! War Eagle! 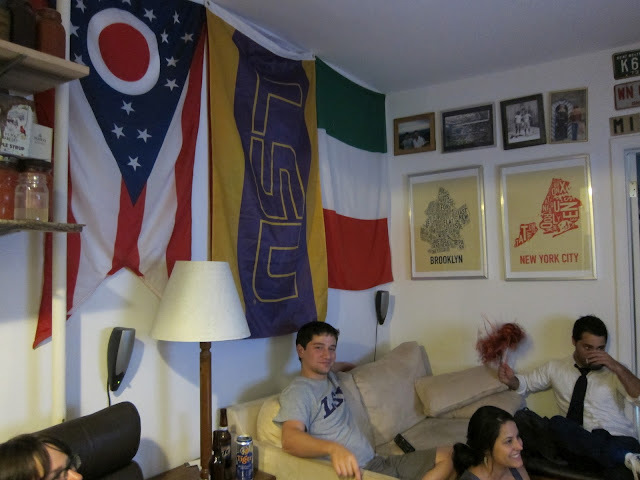 The look on Chris' face in that last pic is so smug: he's looking right at me through the camera lens knowing that he could've never gotten away with that LSU flag shenanigan if I had been there. I dunno Kurt, I think it adds a nice dimension to your living room... of course, orange WOULD look better. Just seeing that flag brush shoulders with the State of Ohio Flag makes my eyes hurt.